Even the most partisan supporter of the guy would have to say that Radamel Falcao’s Manchester United career has been an outright failure. He got injured at the start of the season when the opportunity was there to cement his place in the team. And since he has come back to fitness he just hasn’t had the luck he needs to get off the mark. His game never lacks for effort but he simply hasn’t sparkled like the player who demolished defences before the knee injury which kept him out of The World Cup in Brazil. It does seem inevitable that he will now leave Manchester United this summer. If he didn’t cost quite so much money in wages and transfer fees then United might hold onto him – at 29 he’s potentially still got two or three years left at the top – but the money being mooted for his services is ridiculous considering the trouble he has had with his form. 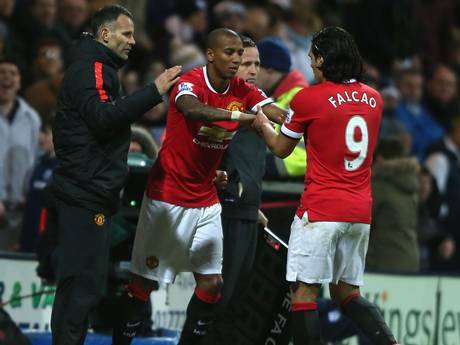 You could see that Falcao wasn’t that off the pace on Sunday against Chelsea. He’s physically fit now and if one of his several chances had gone the right side of the post, we might be talking about him in different terms today. But you feel that, with just 5 games to go this season, he won’t be given sufficient opportunities to prove his worth to Manchester United beyond May. Manchester United fans: would any of you keep Radamel? How will LvG’s Manchester United fare against Barcelona?